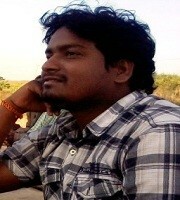 Mr. Dharmapada Jena was born on 21 January, 1990 in Narayanpur, a small village in the coastal district, Balasore, Odisha. After completing his schooling in the village, he did his graduation in English literature from F.M. Autonomous College, Balasore. He fetched University gold medal for being the topper in his M.A. in English, Utkal University, Bhubaneswar, Odisha. He also completed M. Phil in English and is currently doing PhD at the same university. His academic areas of interest include Trauma literature, Indian literature, young adult fictions and psychoanalytic theories of literature. In addition, he has sound knowledge in the area of linguistics and ELT. Besides, he has taught English and communicative English at different colleges in Odisha. Currently he is working as a Lecturer at Govt. Polytechnic, Gajapati, Odisha. Writing poetry is his passion that he has cultivated from a very young age. His earlier amateur poems were mostly written in Odia. 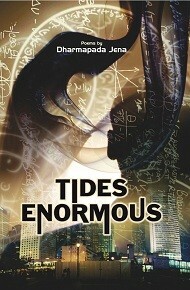 Tides Enormous is his first collection of English poems that stands testimony to his poetic sensibility.